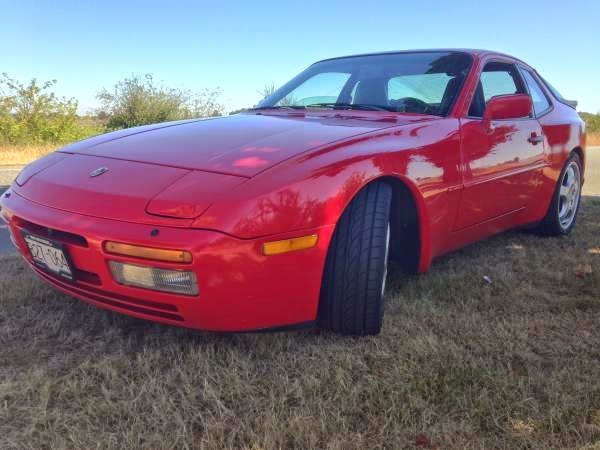 Buy Classic Volks – Porsche 944 Turbo for Sale, this a Porsche 944 Turbo built in 1986 comes with red 2-door coupe has 230000 miles. This Porsche in excellent condition be a coolest car on your garage, was eligible as a collectors and had insured to. This is a clean Canadian car that I’ve owned since 2010. 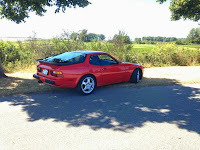 It is a fairly rare 1986 944 Turbo – the first year the 944 was offered as a turbo. During its time this was one of the fastest cars on the road and the excellent balance (50/50 weight distribution with the gear box in the rear) makes it a joy to drive. Replace the timing belt, water pump, front bearings, and all seals and gaskets on the motor including the notorious oil pan gasket. There are no leaks from this car! Replaced the motor mounts, full exhaust system and gaskets (with OEM) including the headers which often leak in these cars. The suspension was overhauled with Koni components, new bushings, tie rod ends, coilovers in the rear and front. The interior was fixed up with a new shift boost, cleaned instrument cluster so the gauges read correctly, etc. Brakes are very good and tires are a couple of years old. We even replaces two of the wheels as they were out of true. The car was then eligible as a collectors and it is now insured and plated as a collector car making it very affordable to run. Finally, over the time that I have owned the car (and put on around 10-15000km) I acquired a large collection of spare parts. This is because parts for these classic Porsches are hard to find and and often expensive. This includes a spare turbo, full exhaust system, new wastegate, and everything that attaches to the motor itself. This is a very valuable stash of goodies to have because it allows you to enjoy the car for many many years to come with minimal operating costs. Other projects have come up and I no longer have time for this vehicle. It is time to let it go into the hands of someone that can continue to enjoy it. The car can be viewed during the week in Richmond BC. This entry was posted in 1986, 944, Canada, Closed, Porsche and tagged Porsche 944 on November 2, 2014 by buyclass.